A few days ago (July 28-30), the National Aeronautics and Space Administration (NASA) met in California to discuss the future of personal and commercial drone use. NASA’s eagerness to deliberate on drones comes as a response to rising drone use across the globe, with companies like Google and Amazon scrambling to figure out how they can use drones to deliver goods and survey areas. For example, Amazon recently went so far as to suggest a superhighway of drones, buzzing through cities to transport purchases. Drones are beginning to offer city planners something that has been otherwise difficult to obtain: real-time and customizable footage of cities. While urban designers have largely relied on 2D satellite imaging for models and design, footage from drones offer 3D imaging that can be rendered to scale. The drones’ flexibility in flight also allows city planners a deeper understanding of city contexts, giving them access to them street-level imagery. Indeed, rather than a static, bird’s eye view of a map, drone imaging can accurately survey how traffic circulates through transport corridors and urban environments shift, as well as document real-time topographical and hydrologic changes. In Mexico City, for example, a drone mapping team partnered with the city’s government to photograph various sectors of the urban landscape. In World Resource Institute’s (WRI) recently released report, “Cities Safer by Design”, one of the seven principles for designing a safer city is utilizing data to better detect problem areas in a city. Rather than using personnel to inspect transport infrastructure, drones provide a more cost-effective and safer solution for law enforcement and city engineers. Furthermore, drones can play an important role in improving urban resilience. Using drones to detect danger zones after a natural disaster could expedite post-disaster aid; for example, drones can spot trees or electric wiring that have fallen on roads after a storm, improving safety in high-risk areas. A recent study conducted by the Red Cross documents the diverse and effective ways drones can be used in disaster scenarios. While drones can be used to inspect dangerous areas after natural disasters, they are more commonly used to monitor real-time traffic in congested areas. With rising rates of car ownership in many parts of the world, cities have been experiencing intense congestion, especially during morning and afternoon rush hours. Consequently, the potential for utilizing drones to improve city traffic information and management has been explored by a multitude of law enforcement agencies across various countries. For example, the Jakarta Police Department plans to have five drones monitor traffic and predict traffic hot spots during the Islamic holiday of Idul Fitri. 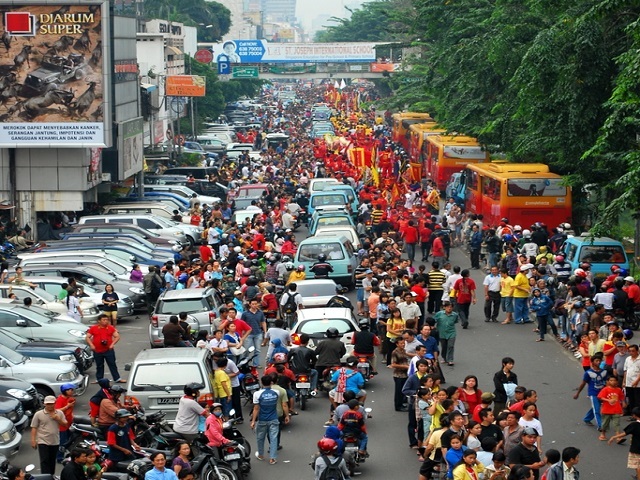 Cities like Jakarta are having success because drones are generally more effective than deploying ground units, who struggle to traverse the already congested roads. However, all of these UAVs have cities scrambling to regulate how they are used. In the U.S., Drones fall under the Federal Aviation Administration’s (FAA) jurisdiction, and laws exist to prevent people from flying “aircraft in a careless or reckless manner” in civilian spaces. Breaking these laws can be cause for harsh fines: one Manhattan drone aficionado was charged upwards of $2,000 for flying his drone, as well as neglecting to get appropriate permissions. India has also taken the initiative to begin streamlining policy for civilian use of UAVs, outlining acceptable flight paths, height, and areas of operation. With these standards in place, India anticipates using the drones for surveillance in crowded areas in order to prevent violence. Overall, these stringent regulations reflect the public’s genuine concern for the potential for drones. One poll reported that over 60 percent of people thought that drones would have a negative impact if used by retailers and hobbyists on a regular basis. However, despite the regulations that have already become the norm in the U.S. and India, some parts of the world have embraced drones. For instance, some Latin American nations, like Brazil and México, are quickly incorporating drones for government purposes, but have not yet started to enforce legal limitations on their use. A similar situation is happening in China–with entrepreneurs eagerly entering the market and exploring how drones can be used. These various uses of drones open up a lot of questions. What do you think? Let us know in the comments section below!